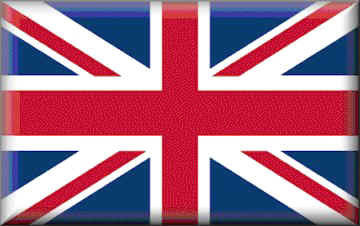 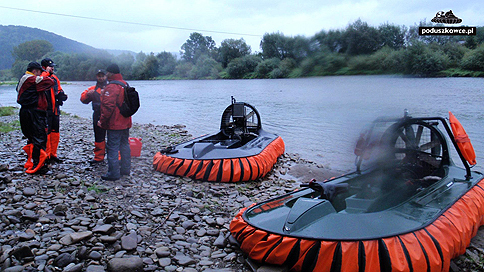 because we are passionate about hovercraft! 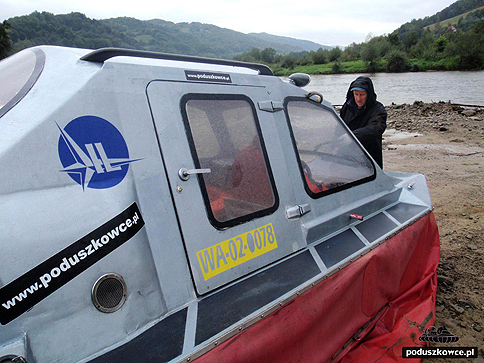 The poduszkowce.pl team shrugged off the inclement weather and organised a spectacular excursion through the breathtaking Dunajec River Gorge in the Pieniny Mountains. 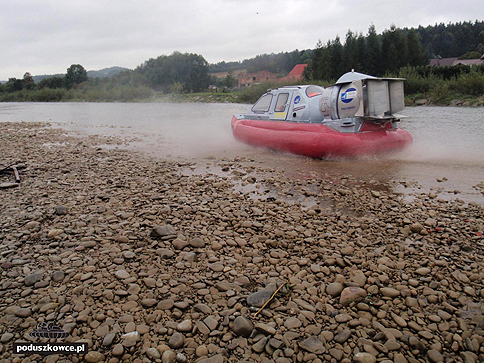 The three craft managed to navigate a more than 30 kilometre stretch of the river from Stary Sącz to Krościenko - upstream of course! 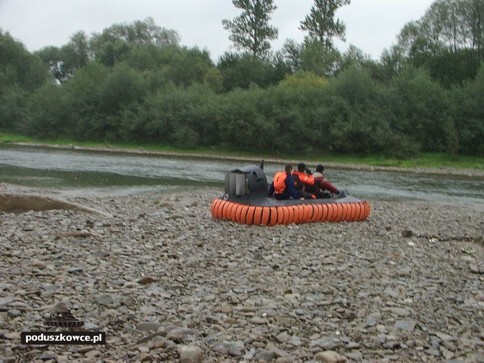 We overcame many obstacles which would have been insurmountable to any motor boat, quad or a jet ski, to once again demonstrate that our hovercraft can cover any terrain. 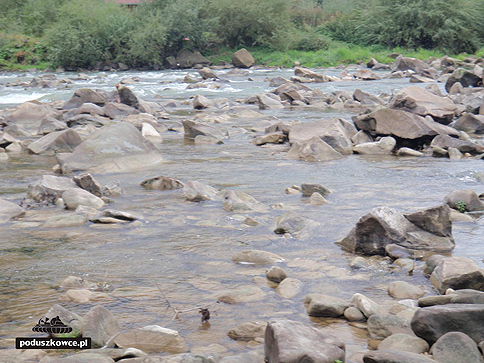 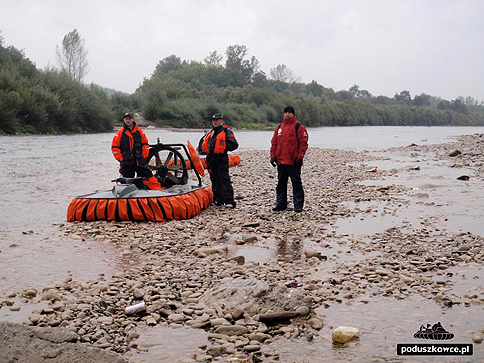 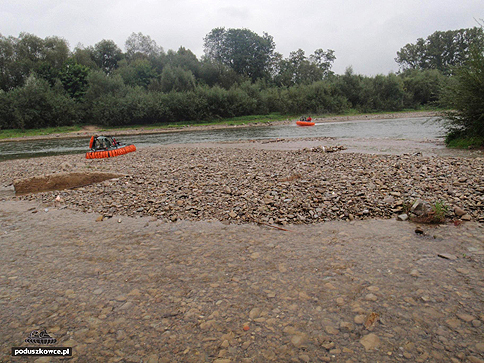 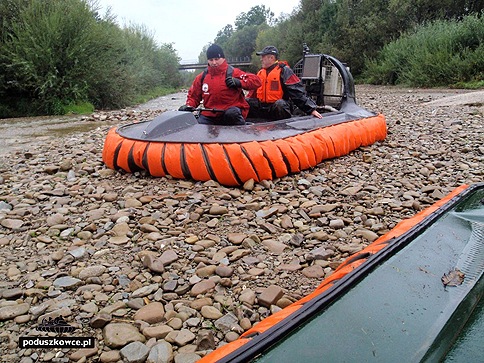 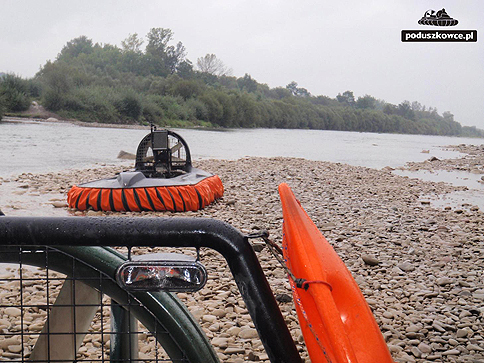 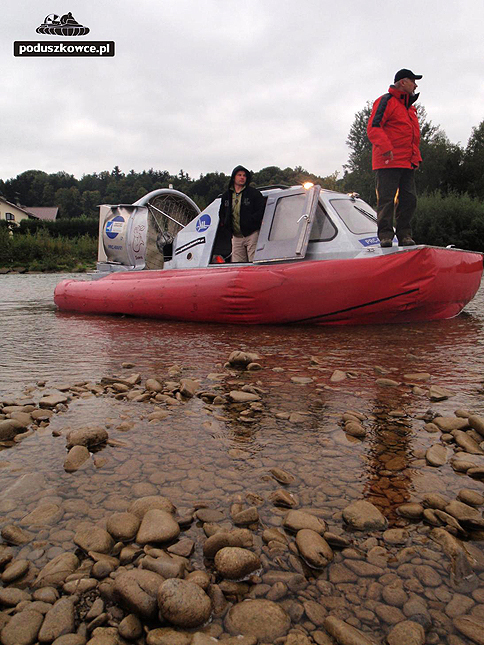 Low water levels, rapids, river thresholds, and rocks jutting out of the water are no obstacle to our hovercraft. 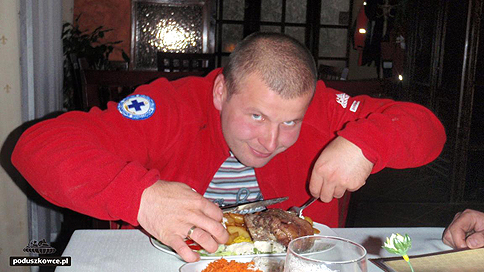 The poduszkowce.pl team were in a class of their own. 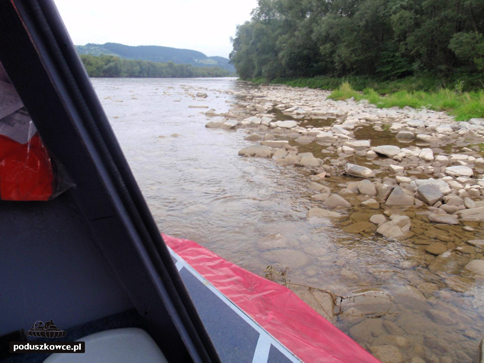 A once in a lifetime experience of adrenaline and captivating scenery kept our passengers company all the way along the TOUR DE POLOGNE. 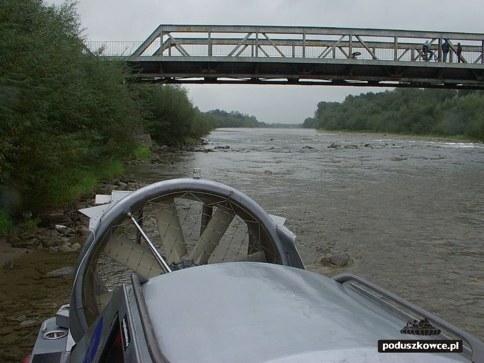 The hovercraft flew upriver at an average speed of 35 km/h and often exceeded 65 km/h. 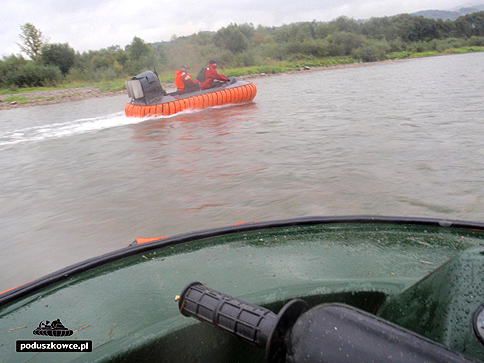 Obviously, we slowed down when approaching any obstacles. 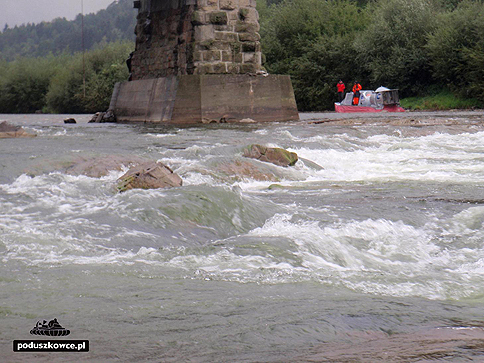 The excursion was crowned with a splendid feast in a Krościenko restaurant. 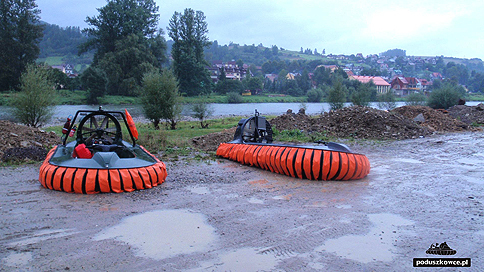 Needless to say, we burst into the car park on our hovercrafts. 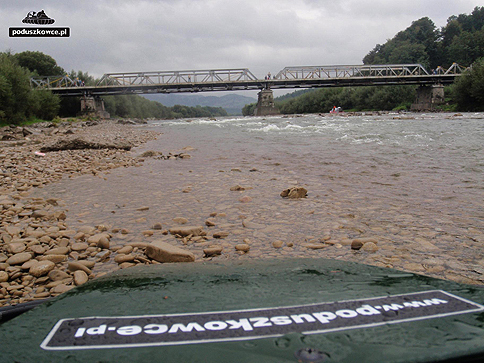 If only we could have more adventures like this! 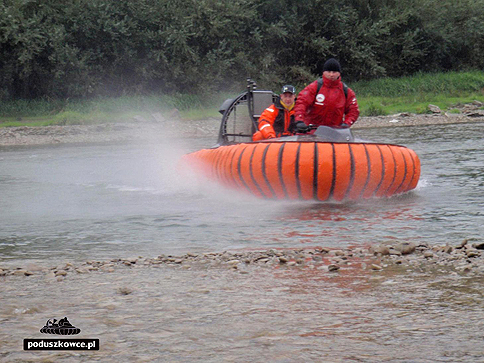 Why not enjoy this unique experience for yourself!